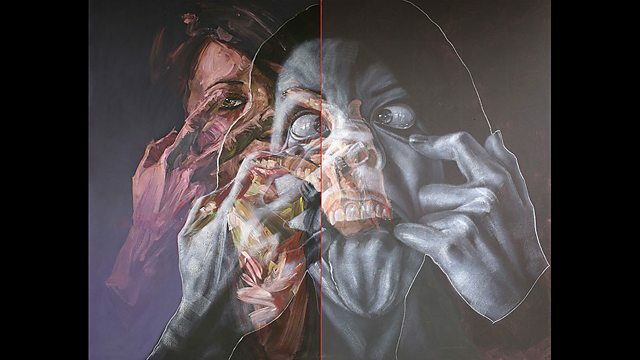 BBC World Service - Outlook, Syrian Painter: "War Changed My Art"
Syrian Painter: "War Changed My Art"
Jo Fidgen talks to Syrian artist Sara Shamma who feld her home during the civil war and now lives in Lebanon. Sara Shamma is a Syrian artist now living in exile in Lebanon. She explains how the war has changed her art. Sister Madonna Buder is an 84-year-old nun who holds the world record for the oldest woman ever to finish an Ironman Triathlon. Tahir Qadiry meets the young Afghans taking on corruption. Will Boast is a British writer who found his late father's secret children. Australian musician Linsey Pollak makes instruments out of vegetables, rubber gloves and other unusual objects.